65 year old art historian András Kovács will deliver his inaugural lecture to the Hungarian Academy of Sciences tomorrow, on October 20th (he is an external member of the Academy). The title of his lecture, to be delivered in Hungarian, is: The Gyulafehérvár palace of the Princes of Transylvania. András Kovács's primary field of research is the architecture of 16th-17th century Transylvania. Based on a careful reading of the sources (many not even studied before) and a detailed analysis of existing building and their ruins, he fundamentally altered our knowledge of this period - the new overview of the field is now provided by his magisterial survey of the period (Késő reneszánsz épí­tészet Erdélyben 1541-1720, which is available online, either chapter by chapter or as a full pdf-version). He also wrote on medieval architecture, in particular about the cathedral of Gyulafehérvár (Alba Iulia). András Kovács is professor of Art History at the Babeș-Bolyai University at Cluj-Napoca (Kolozsvár), and during the last twenty years he has raised a new generation of Hungarian art historians in Transylvania. 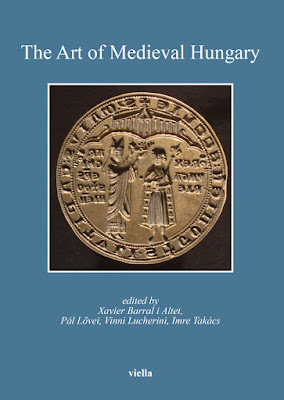 His pupils have just dedicated a volume of studies to him: the 23 studies represent that high level of scholarship and keen attention to detail that he always required of himself and of his students. 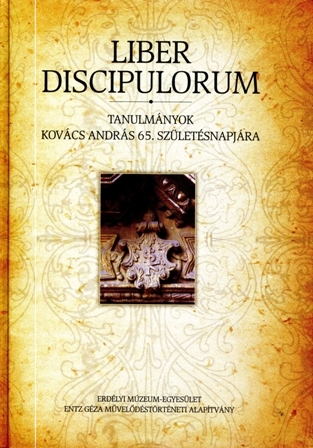 (Liber discipulorum: Tanulmányok Kovács András 65. születésnapjára. Edited by Zsolt Kovács, Emese Sarkadi Nagy, Attila Weisz. Kolozsvár, 2011.) This in itself shows the success of his work, not to mention everything that he did in order to preserve historic monuments and to organize the field of Hungarian-language art historical research in Romania. An (incomplete) list of the publications of András Kovács can be consulted on the University's website as well as in the Transindex database (with some further works available online), and also on the website of the Hungarian Academy of Sciences. With this brief post, I, too would like to congratulate András Kovács, and look forward to hearing his lecture tomorrow!